Why Haven't I got a Tracking Number? Paperback + eBook [Add £5.00] Best Value! After the hugely popular Coaching Transition Play book, volume 2 provides more new ideas to help coaches improve their training sessions in the most important phases of the modern game - the transition phases. 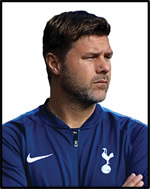 Some of the best performing coaches and teams during the transition phases in recent years (Pochettino's Tottenham, Sarri's Napoli, Jardim's Monaco & Sampaoli's Sevilla) have been studied so you the coach, can learn to input their tactics into your training sessions. This book provides tactical analysis of Mauricio Pochettino, Maurizio Sarri, Leonardo Jardim and Jorge Sampaoli's tactics. Transition from defence to attack in the Low, Middle and High Zones. Transition from attack to defence in the Low, Middle and High Zones. 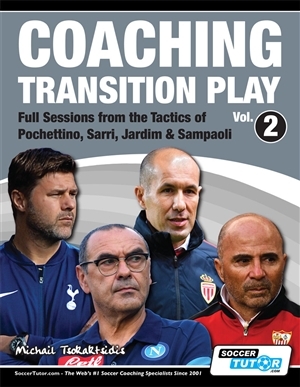 Learn to "Coach Transition Play" with Full Sessions from the Tactics of Pochettino, Sarri, Jardim & Sampaoli"
What the Coaches Say on the "Importance of Transition Play"
This book includes Pochettino's Transition Tactics with Sessions on how to practice them. Dries Mertens (Napoli) “The thing I love the most about his style of football is the way he organises the phases when we are off the ball and structures the pressure we put on opponents when they’ve got the ball at their feet. It feels like he has already played the game out in his head and on the field you have an extra man." 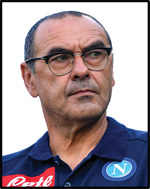 This book includes Sarri's Transition Tactics with Sessions on how to practice them. TRANSITION FROM DEFENCE TO ATTACK - After winning the ball, the first Monaco pass was quick and forward, leading to a fast break attack with equal numbers of players (2 v 2, 3 v 3 and 4 v 4) or with a numerical advantage/overload situation (3 v 2, 4 v 3, 2 [+1] v 2 and 3 [+1] v 3). 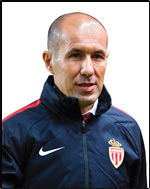 This book includes Jardim's Transition Tactics with Sessions on how to practice them. 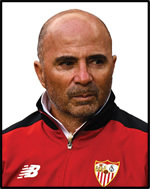 This book includes Sampaoli's Transition Tactics with Sessions on how to practice them. During my playing career I won 6 championships with 5 different teams. At the age of 29 I stopped playing and completed my studies in fitness conditioning and football coaching. I was also a student of the UEFA coaching schools (H.F.F. in Greece) and I am a fully certified UEFA ‘A’ Licence coach. I started my coaching career coaching at academy level for 3 years and for the last 6 years I have been a head coach at F.C. Doxa Dramas (professional Greek team) and 3 different semi-professional teams in Greece (winning 2 championships). Bachelor Degree in Physical & Sports Education (Specialising in Soccer Conditioning). Average Customer Review: 5 of 5 Total Reviews: 6 Write a review. Some duplication from Vol 1 however this acted as a good form of revision for those that have Vol 1 and a necessity for those that don't. Well structured book and set out building good theory and logic behind the practices. A must improve techniques on delivering good transition play coaching. For the modern game, this book along with Vol.1 are essential for the process of an understanding of gaining possession when without the ball defence to attack transistions & when you lose the ball to regain possession attack to defence transitions. Great illustrations with written detail which are easy to understand bringing knowledge, understanding & ideas to develop technical & tactical training sessions. You will receive the paperback book + eBook Best value and highly recommended! You will first need to download the offcial easy to use Coach Viewer App. You can Print eBooks on PC and Mac. You will receive the hard copy DVD (DISC) which you'll be able to play on all standalone region free DVD players, Windows PC's and Apple Mac's. Best value and highly recommended! You will first need to download the official easy to use Coach Viewer App. You can download videos onto PC/Mac and Play them via all devices; PC, Mac, iPhone, iPad, Android Phone & Tablet. What is loyalty points and how does it work? Every time you make a purchase, you'll receive points. It's a great way to save on your next purchase. 200 points is worth £1 GBP, so you have a total of 1000 points this is equal to £5 GBP and you can redeem your points to spend or put towards your next order. 5. When you select your products an get to the final checkout page you'll see the discount applied.